'The supermarket in which the survivors are trapped becomes an extreme microcosm of modern society, a fundamental factor within the story of which Darabont never loses sight'. Personally introducing the black and white version of The Mist on the film's Blu-ray release, writer and director Frank Darabont describes the colourless edition as being the closest we're likely to get to a director's cut of the film. Whilst clearly a fan of both, Darabont aligns the colour version to 1970s horror whilst seeing the black and white version as aesthetically linked to the monster movies of the 1960s, a distinction which ultimately helps to make sense of why for the director and many others (myself included) the latter has the edge over the former. 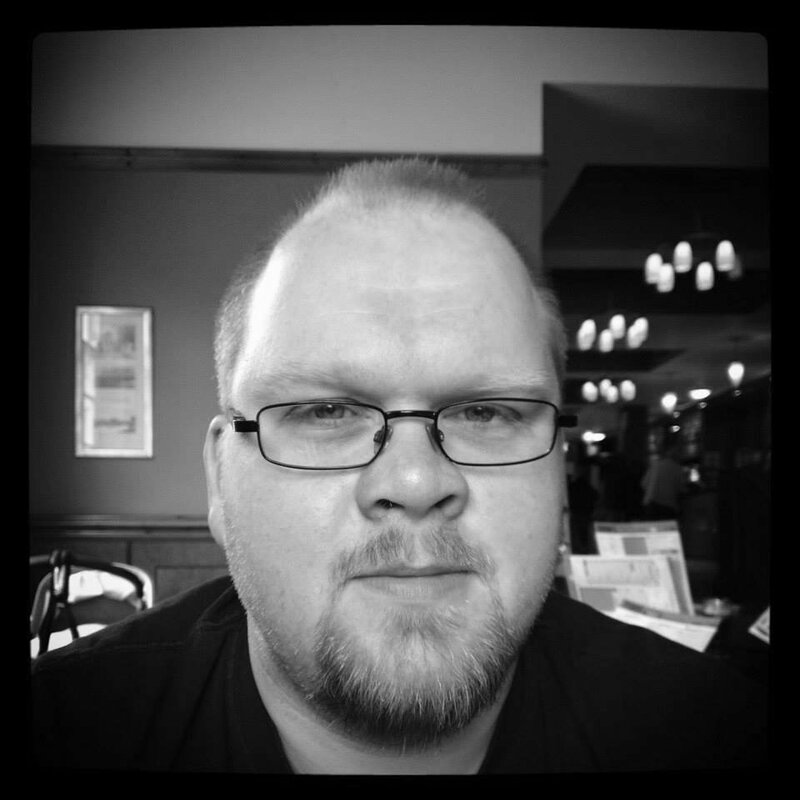 Viewing the film in black and white superbly brings out the retro horror qualities of the creatures that emerge from the titular cloud enveloping the town of Bridgton. Aside from an early scene involving some tentacles which come across too obviously as CGI creations, the rest of The Mist's monsters are drawn straight from the playbook of Ray Harryhausen, something which the monochrome aesthetic enhances brilliantly. Scenes such as a tense mission by a group of survivors to a pharmacy overrun by the supernatural beasts are improved through Darabont's artistic use of light and dark, which comes across all the more effectively in black and white. Whilst there are arguments for both versions being superior, whether you prefer to watch The Mist with or without colour is ultimately a personal preference. No matter which you choose, what makes the film a success is its exploration of humanity, just as Stephen King's original novella did. 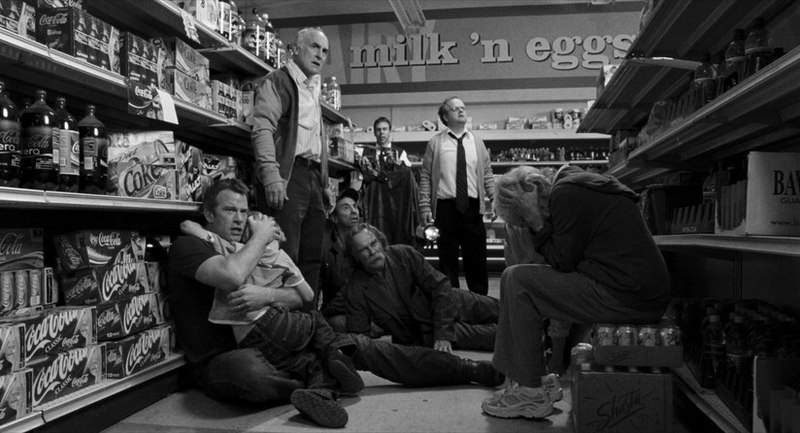 The supermarket in which the survivors are trapped becomes an extreme microcosm of modern society, a fundamental factor within the story of which Darabont never loses sight through his consistently sharp screenplay and direction. The way in which religious zealot Mrs. Carmody (Marcia Gay Harden) gradually manoeuvres herself into a position of power within the group through fear and manipulation has perhaps never felt more relevant than it does today. With so many characters brought into play, it's perhaps inevitable that a few end up feeling underdeveloped. The romance between checkout girl Sally (Alex Davalos) and soldier Wayne (Sam Witwer) in particular feels brief to the point where it's hard to know why Darabont included it at all. The film's climax - different from that in King's story, but which the author condoned - is an element that divides opinion, but which deserves to be experienced without any prior knowledge. The ending is also another reason to experience the black and white version of The Mist, as it's arguably the moment where the lack of colour enhances the mood of Darabont's film most poignantly.